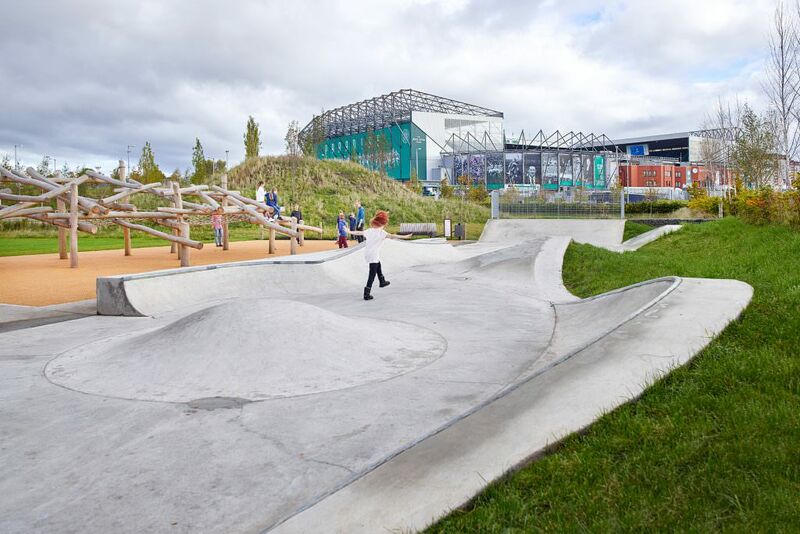 Glasgow City Council commissioned erz to undertake a study into Multifunctional Greenspace as part of the Commonwealth Games Legacy “Year of Green” project. 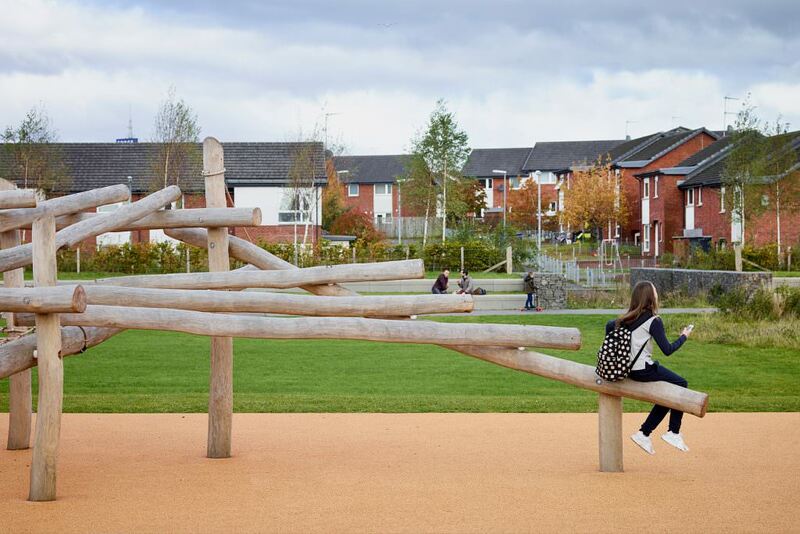 Our study sought out opportunities for the development of community parks and accessible green spaces, that could demonstrate green infrastructure solutions such as sustainable water management, ecological enhancement and active travel. 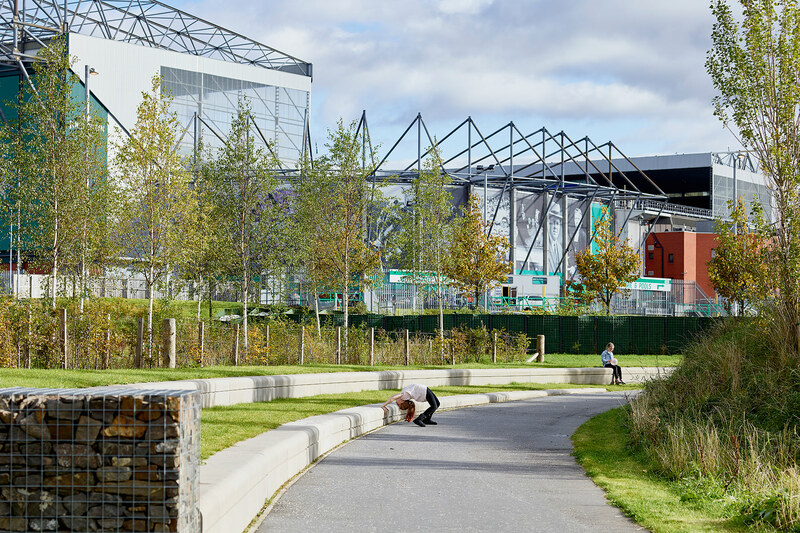 As part of this a co-design, place-making process identified Camlachie as a focus for both short and long term green infrastructure goals. Public space was a high local priority and in 2014 erz developed plans for a one hectare, high quality park that would serve the needs of the people of Camlachie. Erz went on to assist in the successful fundraising for Phase 1. 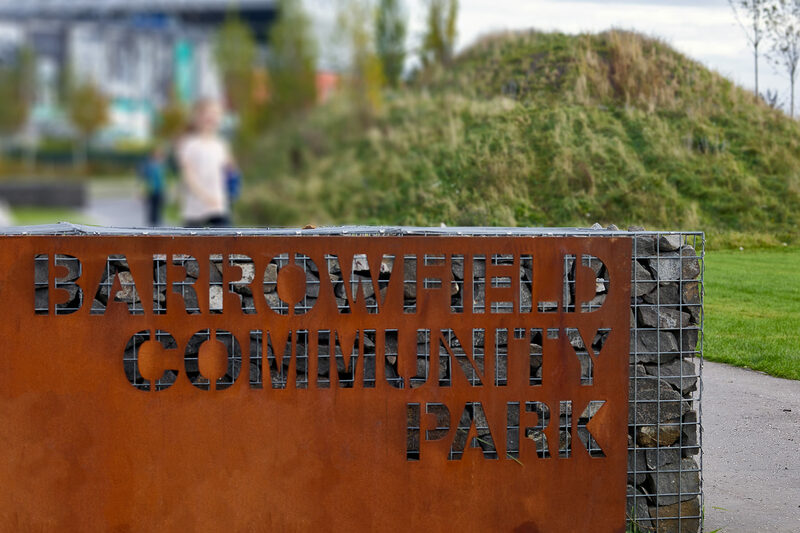 The complex post industrial site is transformed through site remediation, earthworks, tree planting, meadow creation and native shrub planting. Green swales create the edges of the park, manage surface water and provide attenuation. Extensive tree planting and earthworks create an urban sanctuary. 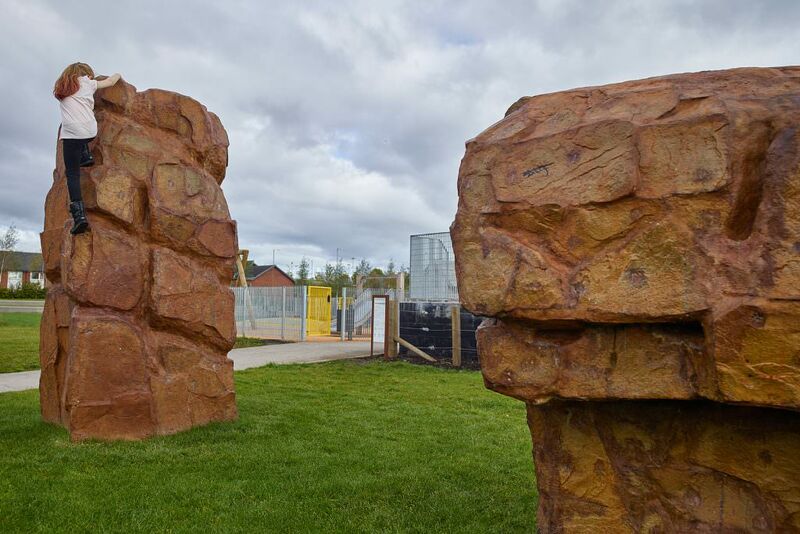 Further funding has secured two further phases of work which were completed in 2016: the park now hosts a bespoke skatepark, climbing boulders and an adventure playground.